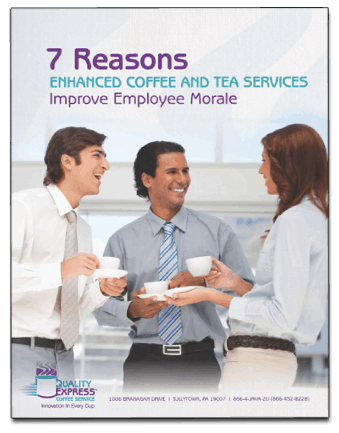 Are you getting the best office coffee service possible to keep your employees productive and alert? Think about how important caffeine is to the workday! Coffee wakes us up in the morning and pushes us through the post-lunch yawns. It’s the perfect fix for a bleary-eyed last-minute deadlines and the warm-up to an important brainstorm meeting. Coffee keeps those keyboards clicking and caffeine is like the oxygen of your office culture. Stock your office coffee station with tried and true coffee flavor favorites or create delicious custom blends just for you. Keep your office coffee supply complete with teas and other break room supplies. Provide professional installation and maintenance of office coffee machines and brewers. Make on-time and accurate deliveries on all orders. When your office coffee bar is stocked with the best coffee blends and coffee delivery systems, you’ve got a pit stop that keeps your team revved up and ready to work. Quality Express Coffee Service is your affordable office coffee service. We take care of all coffee related issues so you can focus on productivity. Our team will customize your coffee delivery service to your company’s needs and preferences, making for a more productive workforce. Please give us a call at 866-452-8228 to see how easy it is to work with Quality Express Coffee. 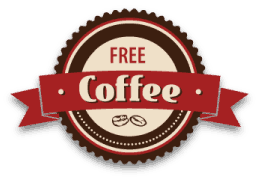 Are you feeling the effects of lots of coffee vendors popping up all around your business? That’s why you need to focus on providing your customers with exceptional coffee in the form of convenience and quality. Overall flow, the equipment you use and the location of your coffee bar all matter when it comes to keeping your coffee-drinking customers coming back. Because a happy customer is a repeat customer.